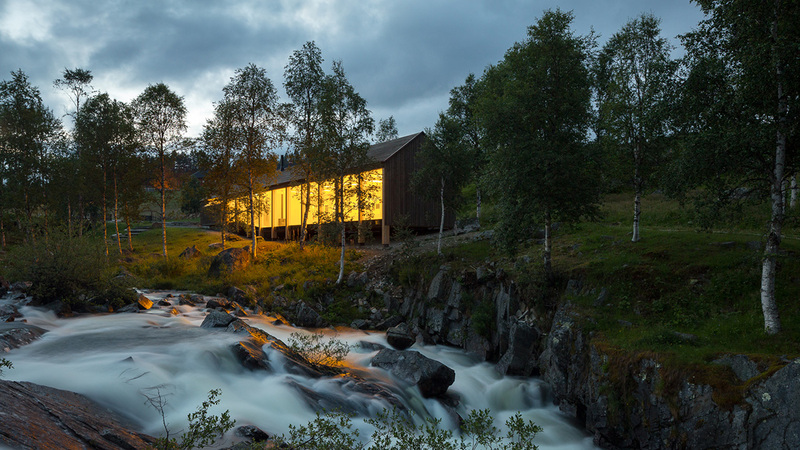 Designed by LJB AS the Atnbrufossen Vannbruksmuseum is located along the National Tourist route Rondane, on the east of Norway. 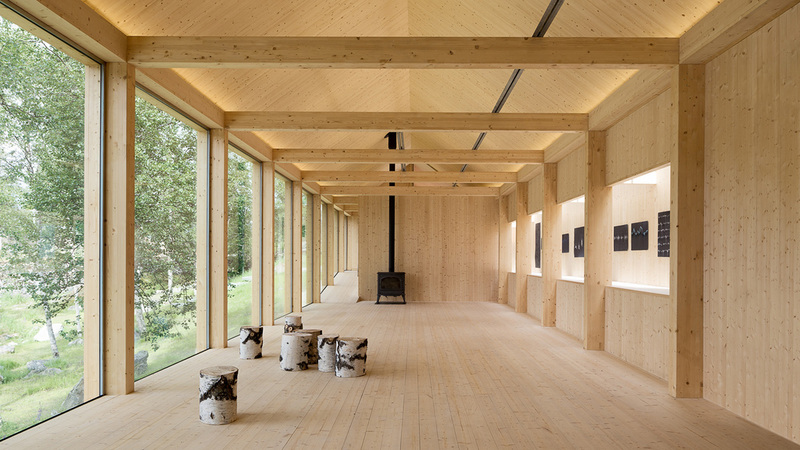 The museum is surrounded by old farms and sits next to an old sawmill still functioning and owned by the local community of Atnbrua. 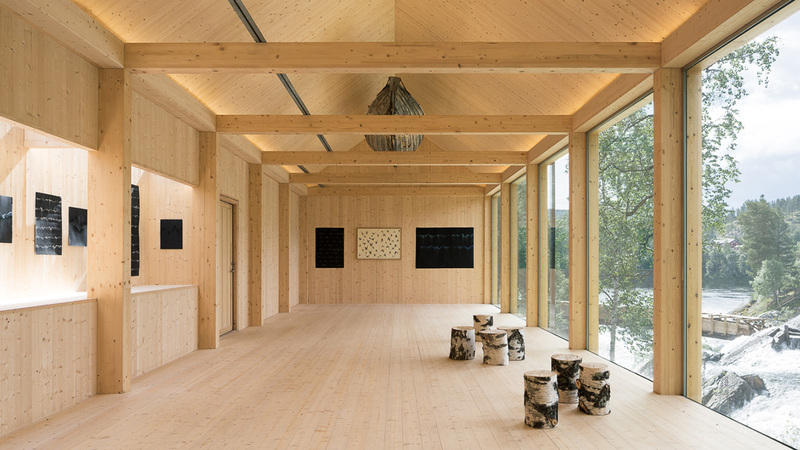 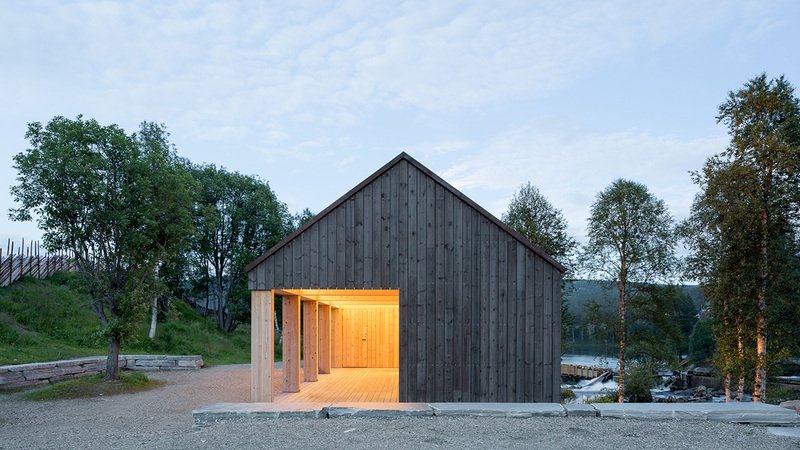 The building consists of a big room completely transparent towards the river and some smaller service rooms more closed and parted but accessible from outside as part of a rest stop for the National Tourist road. 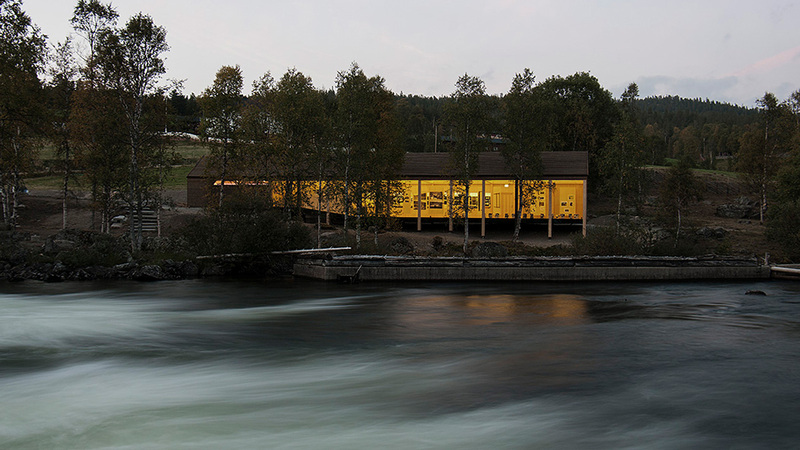 The main structure consists of glue laminated timber frames while walls and roof are made of prefab massive wood elements and the exhibition area has a big glass wall facing the waterfall. 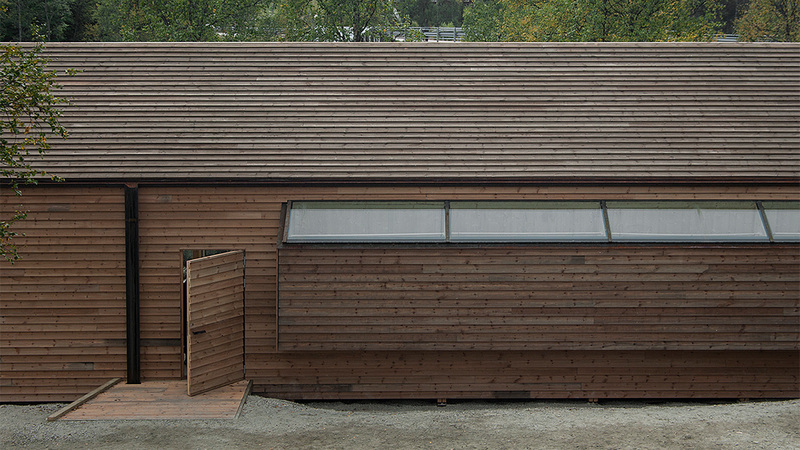 The outside cladding is made of local pine with natural impregnation and all joints and the main gutter are made of corten steel to merge the building with its historical and natural contest.